So, I'm browsing my Facebook feed and one of my friends posts a link for Nicoletta's website. They were raving about jam. Who raves about jam? A few clicks later, I had a sample pack on the way. At the time of ordering, they had 4 jams: Strawberry, Raspberry, Orange Marmalade and Blueberry. 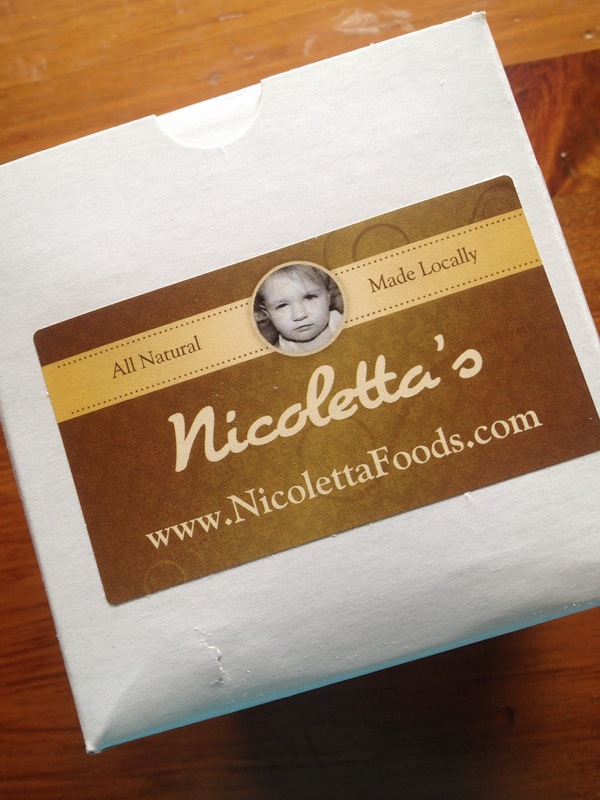 Nicoletta's is a family owned business that uses recipes passed down generations using natural ingredients and no preservatives. They are coming out with more flavours soon and I can't wait! Raspberry: I expected the usual spike of tartness that comes with most raspberry jams, but this was different. Clearly full of raspberries, it had a sweet/tart flavour that wasn't overpowering. A great balanced jam. Blueberry: This jam is so good, it could be in a pie. This one was the least sweet of the jams, but it didn't need to be. It was bursting with real blueberries, not sugar. This is a great jam to pair with peanut butter. Strawberry: This jam tastes like childhood. Pureed strawberry throughout, this jam itself should be classed as comfort food; I could eat a whole jar of it. It immediately brought me back to days as a kid, eating toast and having jam all over my face. Love it! I'd say this jam is the sweetest, but it's still not too sweet; it's just right. Orange Marmalade: I did not grow up on marmalade, but I've had a few times, the grocery store variety of course. I did not enjoy marmalade until now. You will not look at the grocery store marmalade the same again. I only had a sample jar and I don't know how they fit so much orange peel in that little jar! Every knife full could barely hold it all. It tastes like fresh squeezed orange juice. Smooth with just enough sweet and real orange. Very refreshing! So THAT'S what all the raving was about. Definitely worth a try. They're teasing us with the newest flavours and I will definitely be ordering more! After all of this sampling, I'd run out of jam and was forced to buy some at the grocery store as a quick jam fix. The difference is incredible! It was so sweet and jello-like; I could feel my teeth rotting. Never again! 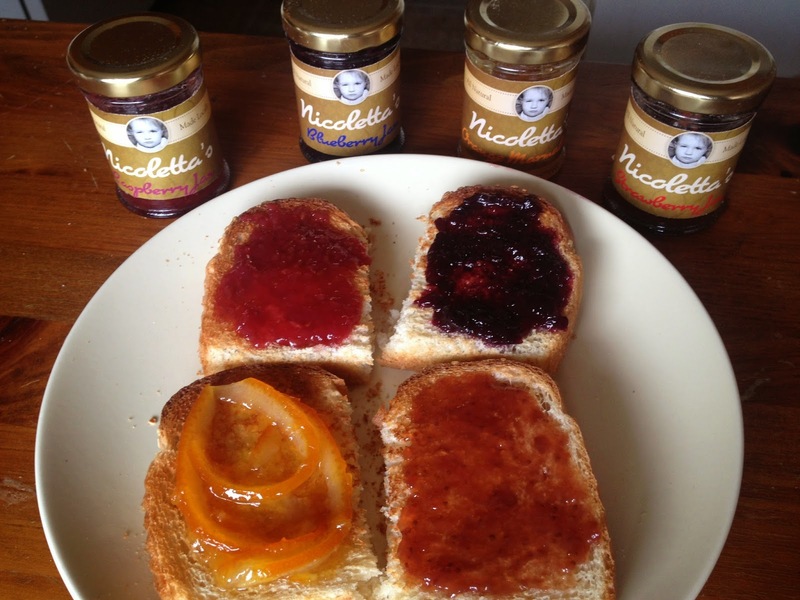 Nicoletta's has a special place on my toast, in my yogurt and probably on my shirt. Oops! It's not just for toast; their website has recipes and I just might try a few. They have a great sampler pack, so you can find your new favourite!